www.drivethedeal.com currently has the following deals on brand new Audis, all supplied by UK main dealers. Prices are including road tax and delivery to your door. With savings of around £5,000 off a brand new Audi A4 and around £7,500 off a brand new Audi A6, with low rate finance, these deals are not to be missed. Audi are offering Solutions PCP finance at 7.1% APR Representative over 18-48 months with a minimum deposit equivalent to one monthly payment. 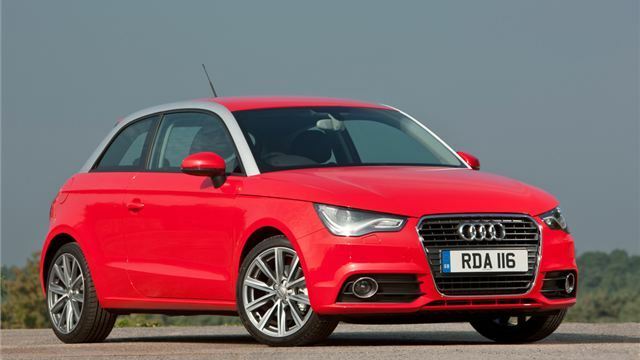 Please note prices on all new A3 Sportback models include the launch offer of FREE SD card satellite navigation system. Audi are offering Solutions PCP finance at 7.0% APR Representative over 18-48 months with a minimum deposit equivalent to one monthly payment. The quoted prices include a £1,700 discount which is conditional upon you taking out PCP finance at 6.9% APR Representative over 18-48 months with a minimum deposit of 10%. The quoted price includes a £1,250 discount which is conditional upon you taking out Solutions PCP finance at 6.9% APR Representative over 18-48 months with a minimum deposit of 10%. Please note prices include a £1,500 trade-in bonus which is limited to the following premium brands being part-exchanged (vehicles must be less than six years old): BMW, Bentley, Mercedes-Benz, Land Rover, Saab, Maserati, Jaguar, Volvo, Infinity, Lexus and Porsche. Audi part-exchanges also qualify. The quoted prices also include a £2,000 discount which is conditional upon you taking out PCP finance at 7.1% APR Representative over 18-48 months with a minimum deposit of 10%. Please note the price includes a £2,000 trade-in bonus which is limited to the following premium brands being part-exchanged (vehicles must be less than six years old): BMW, Bentley, Mercedes-Benz, Land Rover, Saab, Maserati, Jaguar, Volvo, Infinity, Lexus and Porsche. Audi part-exchanges also qualify. The quoted price also includes a £2,000 discount which is conditional upon you taking out PCP finance at 7.1% APR Representative over 18-48 months with a minimum deposit of 10%. Audi are offering Solutions PCP finance at 7.8% APR Representative over 18-48 months with a minimum deposit equivalent to one monthly payment. Audi are offering Solutions PCP finance at 7.8% APR Representative over 18-48 months with a minimum deposit of 10%. The quoted price includes a £3,000 discount which is conditional upon you taking out finance arranged by the dealer and ordering either Tech Pack High or Low. Audi are offering Solutions PCP finance at 6.8% APR Representative over 18-48 months with a minimum deposit of 10%. * The dealer that we put you in touch with will arrange the finance if required. Subject to Status. If you do not wish to take out this finance then you will need to add finance deposit allowance discount to the prices that we quote.